Hail and Storm Damage Repair for Creve Couer - Call us today! We are a local, family-owned company that has been inspecting for and repairing storm and hail damage for Creve Couer homes for over a decade. Because we are a GAF Master Elite Certified roofing company, you can be sure that we take no shortcuts and that the materials we use to repair your storm-damaged home in 63141 will be the best. We live and work right here. We are your neighbors. That’s why we offer all Creve Couer residents free storm damage estimates. If you weathered a bad storm or if you’re worried about last year’s hail, give us a call. We’ll come out for a free, no obligation storm and hail damage inspection and analysis and let you know what the score is for your Creve Couer home. If nothing’s wrong – that’s great – we’re happy to put your mind at ease. And if it looks like you could make an insurance claim based on the storm damage, we’ll let you know. 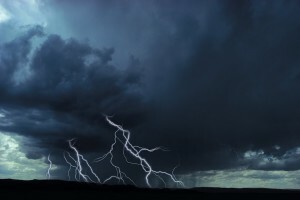 Give us a call today and ask for your free storm damage analysis.